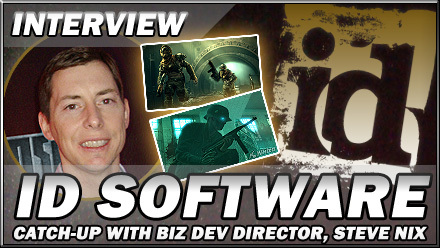 We catch up with Steve Nix, Director of Business Development at id Software, on topics including iPhone development, Wolfenstein and idTech 5. This interview was conducted before the surprise June 30 announcement that the legendary Texas-based id Software has been acquired by Bethesda Softworks parent company ZeniMax. 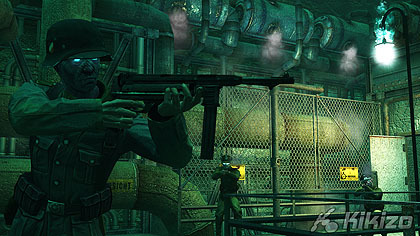 The acquisition, which brings together two of the industry's very best developers, could result in some truly mind-boggling productions a few years down the line, when you consider the magnitude of series like Doom and Quake which id, as a relatively small developer, came up with off its own back. Kikizo: Hi Steve. So, you're in a business development role at id Software? Steve Nix: Yeah, but it was kind of like, I got there, and what are we going to call you, oh let's say business development. But I do a lot of things - we're a small company, so we all wear a lot of hats. I report to the CEO Todd Hollenshead [interview], and basically I also manage all the PR and marketing for all the titles as well. Nix: Yeah, that's been doing really well; we were in the top ten, it slipped down a bit because there's so much competition. We ran a sale, and were able to push back into the Top 25 in the US - so sales are really good. If we're in the Top 25 in the App Store we're generally pretty happy. So I think it's been a pleasant surprise. We've already announced we're doing something with Doom on the iPhone next [Editor's note: Doom Resurrection did in fact hit the App Store yesterday]. So you can expect to see a lot more. John [Carmack, interview] has a lot of enthusiasm for the iPhone. 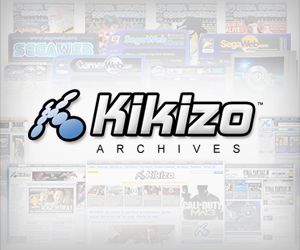 Kikizo: How do you get into the Top 25? I've got a friend who released a nice iPhone puzzle game recently. If he could get there, he could probably make a lot of money. Nix: Well, first we just launched the game, and it reviewed really well. It's one of the highest rated games in the store, so I think just word of mouth, and people looking at what are the highest rated games moved us up really quickly. But ultimately, most of the obvious customers bought the game, so you start slipping down the list. But then when we ran the sale and lowered the price, it helped push it up. There's ultimate flexibility - you can change the price in the App Store as frequently as you want, because it's all online through a website - it's really easy to change your description, pricing and all that. 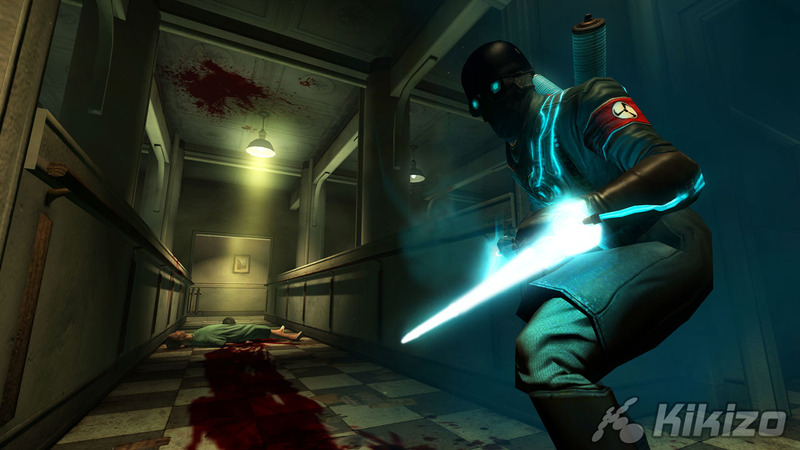 Kikizo: So this new Wolfenstein title is for 360, PS3 and PC. Can you give some background timing-wise, as this is running on idTech 4 while other upcoming projects will be using 5? Nix: Well, Raven is a long-term partner of is Software. They actually licensed the Wolfenstein 3D engine for one of their first games, Shadowcaster, and the majority of Raven's titles over the years have used Raven technology. They're extremely knowledgeable about id's technology. So the current Wolfenstein, they started with idTech 4, but they've done a massive amount of improvements to overhaul and modernise it, and really bring it up to modern standards - soft shadowing, post processing effects, also the Havok physics - which is why when you play the game, you'll see thousands of objects and everything bouncing around in the world, which really is important for the gameplay. So the really did bring the game up. idTech 5 was not available; the games that are on idTech 5 are much further out - we haven't announced any ship dates or anything. 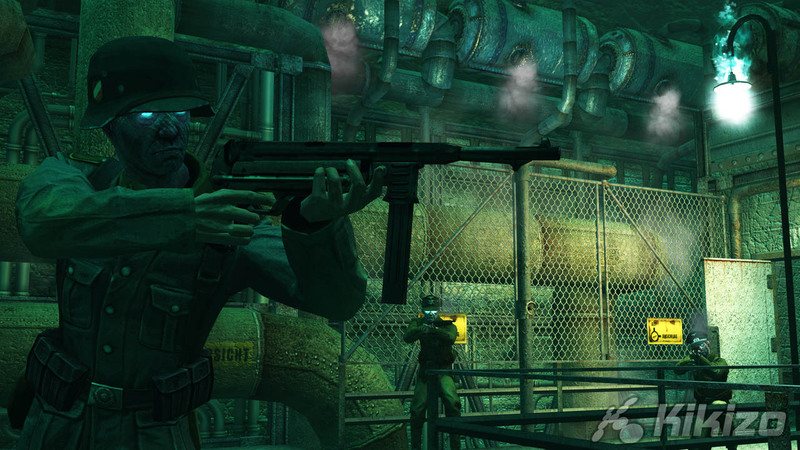 If Wolfenstein were powered by idTech 5, you wouldn't be seeing it for quite a long time.